The strength of Nikon's products was and still is versatility. Nearly everything will fit or can be connected; even if there is a great difference in age. The latest flash (aka speedlight) may fit the earliest camera, the earliest lens may fit the latest camera. If it is not possible to place/fit an lens and/or accessory direct to an other product Nikon supplied an adapter. Through the years the number and diversity of adapters has grown enormously. As early adapters didn't have a product code, and because nobody knows what has been produced it is impossible to name all adapters. AS-adapters are used to connect flash units to a camera, BR-adapters are used to place a lens in reverse on a SLR camera and UR-adapters are used to place wide-angle- (WC) or tele-converters (TC) on digital compact cameras (Coolpix-series). Which converter lens will fit your Coolpix camera will tell you this page. 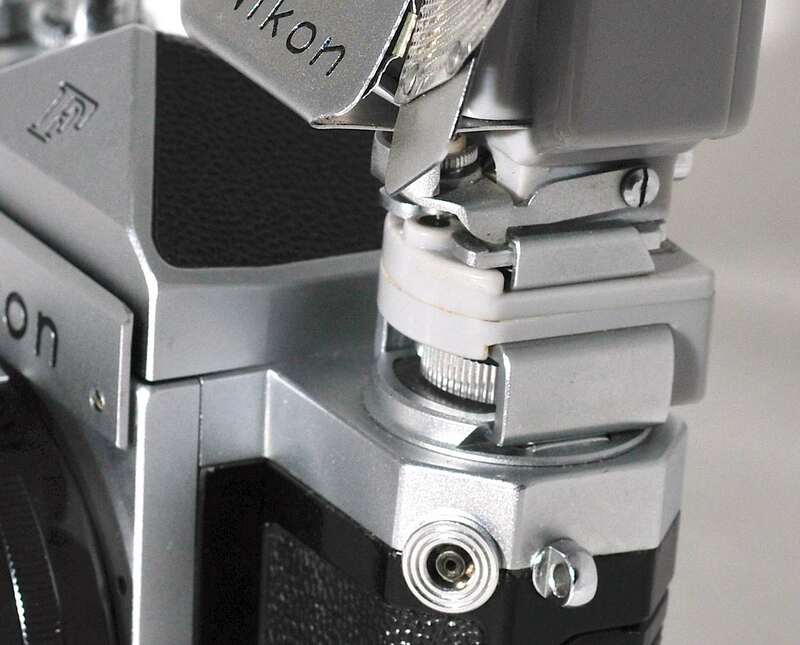 For using AF-S Nikkors on Nikon 1-series cameras the Nikon FT-1 adapter is available. The adapter has a tripod connector and all AF-S lenses for digital SLR cameras can be used with all auto focus features! 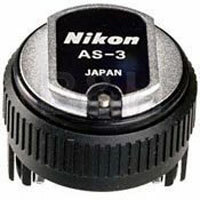 A special adapter is the Nikon SU-4. In fact this adapter is a so called slave unit. You can mount it on a tripod and place a flash light in the flash shoe (which can be turned around) on top. At the side (above left) its sensor should be directed to the master flash light. As soon as you fire that master flash, the flash on the SU-14 will fire simultaneously. If needed you may switch a sound on: a long sound is OK, a few beeps will mean that the light 'dose' wasn't sufficient. This adapter gets its power from the flash light; it may work at a distance up to 5 meters. This small device saves a lot of cables! These adapters are made to place a flash unit on a camera. Not all early rangefinder and SLR cameras as well as many (film or digital) compact cameras do have an accessory and/or flash (hot) shoe, thus adapters (some with an additional cable) have to be used. Early flash shoe adapters do not have a product code. 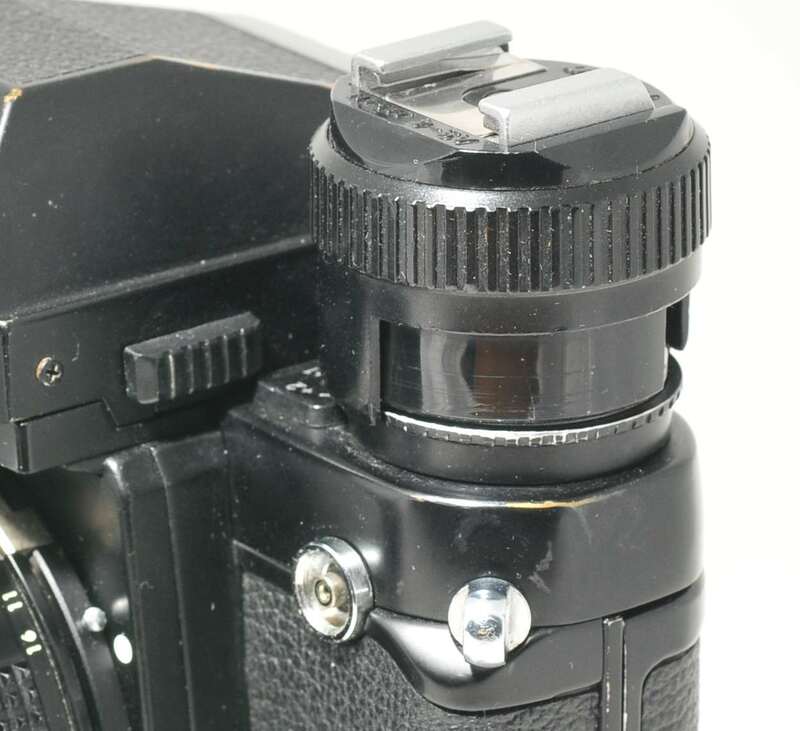 AS-7 = to be used on any Nikon F3, where it can be fastened by screwing the front screw into the flash connector. It has an ISO hot shoe. Using this flash connector will keep the rewind knob free. AS-10 = to connect one camera via SC-18 or SC-19 cable with up to three flash units for simultaneous flash; can be mounted on a tripod. 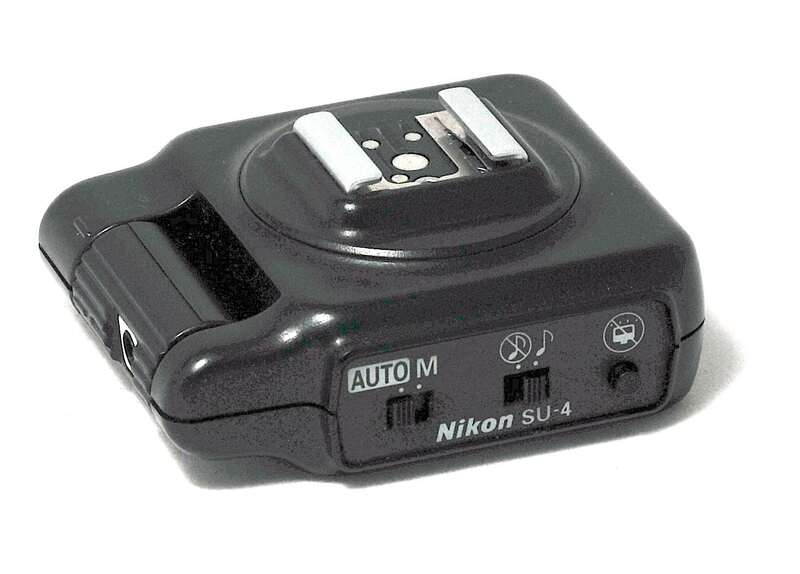 AS-12 = external power pack for Nikon F3 flash units (SB-21A); takes 4 AA batteries. AS-13 this code is not used, maybe superstitious salesmen? AS-14 = external power pack for SB-21B. 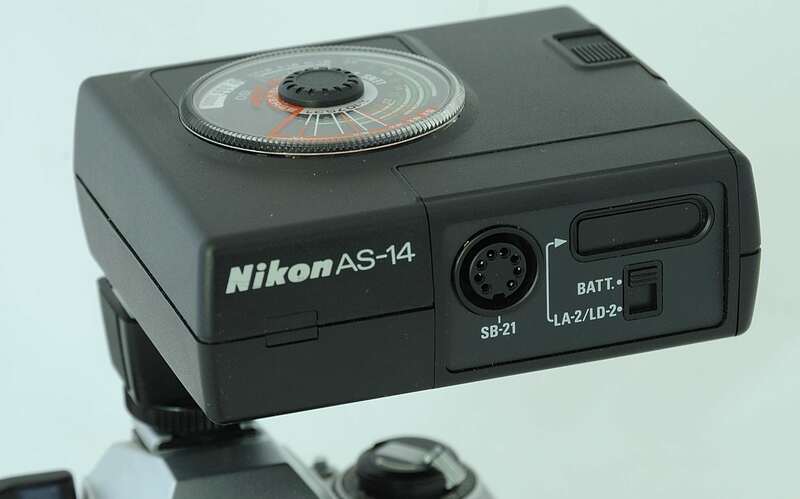 AS-15 = for use with Nikon cameras with standard ISO shoes that do not have a sync terminal. AS-16 = replacement hot-shoe attachment for SK-6 Power Bracket. AS-17 = adapts ISO type TTL speedlights to the F3 and provides TTL operation. These adapters are in fact rings to mount a lens in reverse position for macro-photography on a camera. Most lenses with a 52 mm or 62 mm. filter thread can be used in reverse on any SLR camera. It is also possible to use enlarging and/or CRT lenses - with 39mm. thread - on a SLR. BR-5 = step down ring to make use of MF-lenses with a 62mm filter thread on a BR-2. BR-6 = semi-automatic macro ring in combination with a BR-2A. Release cables AR-4, AR-7 and AR-10 may fit. BR-15 = to use an enlarging or CRT lens with 39 mm. 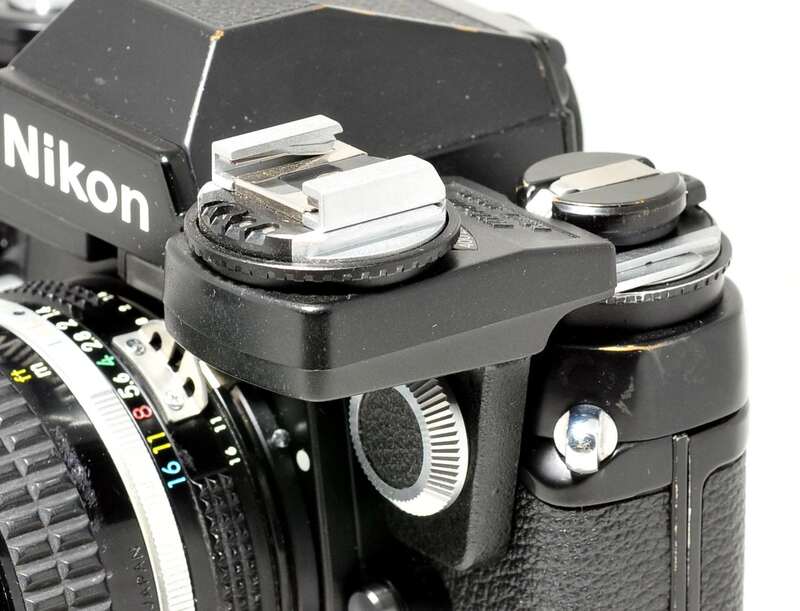 (Leica) thread mount on a SLR camera. BR-16 = to use enlarging lenses and RMS microscope lenses with larger thread mount (to the BR-15) on a SLR camera.